Prepare to be nostalgic for your kindergarten days… Overalls are back. 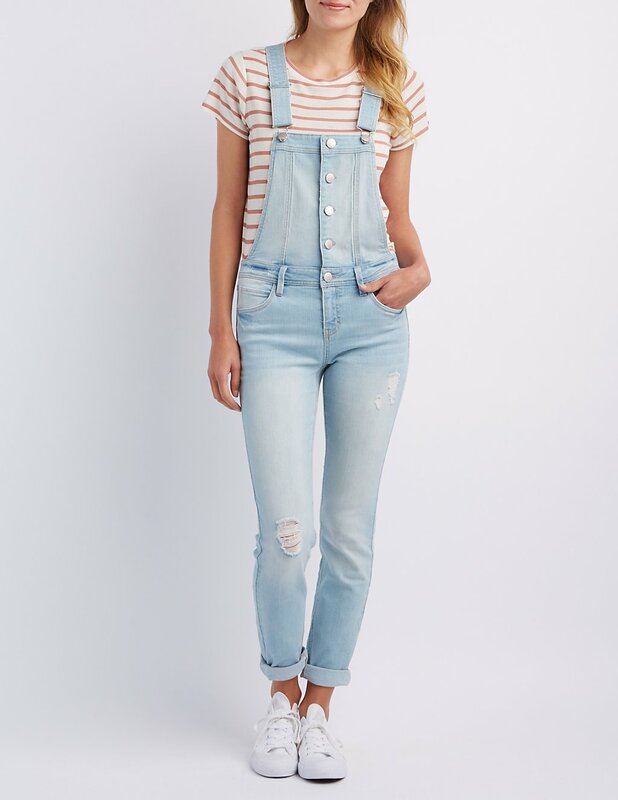 In case you haven’t noticed, overalls have been making quite a comeback recently. And I’m not just talking about short, summer-friendly overalls — classic, full length overalls and even flares are totally trendy, too! Wear this sporty look for a summer baseball game or picnic at the park. 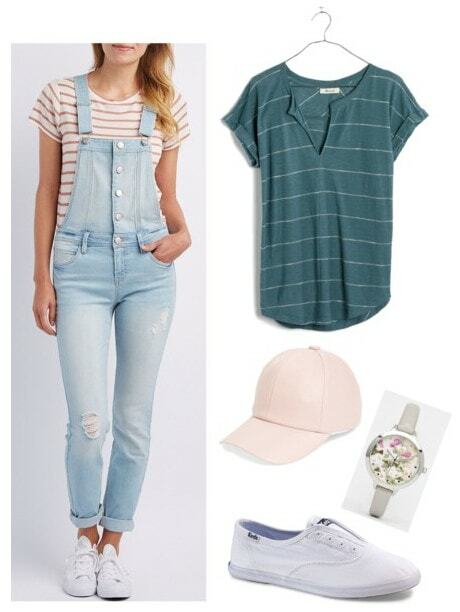 The overalls look cute when paired with a green striped tee and white sneakers. 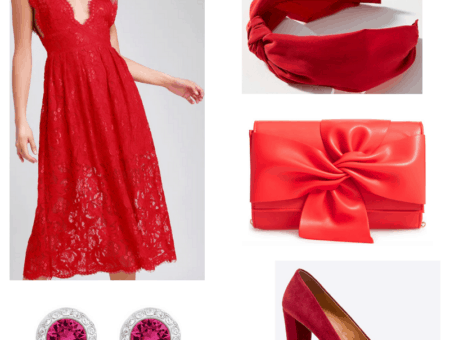 A pink baseball cap adds color, and for a bit of feminine style, slip on a floral watch as well. 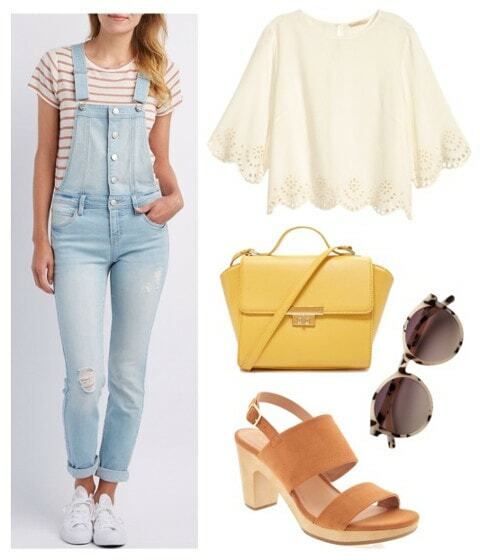 For a flirty boho look, pair these overalls with a cropped lace blouse and platform sandals. 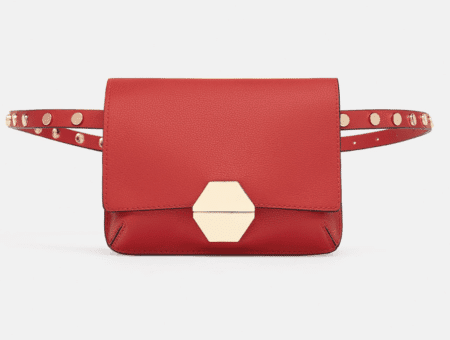 A yellow crossbody bag gives the outfit a bright, summery vibe, which is complemented by a pair of trendy tortoiseshell sunglasses. Try this outfit for the summer to fall transition. Start with the basics: overalls and a black tank. 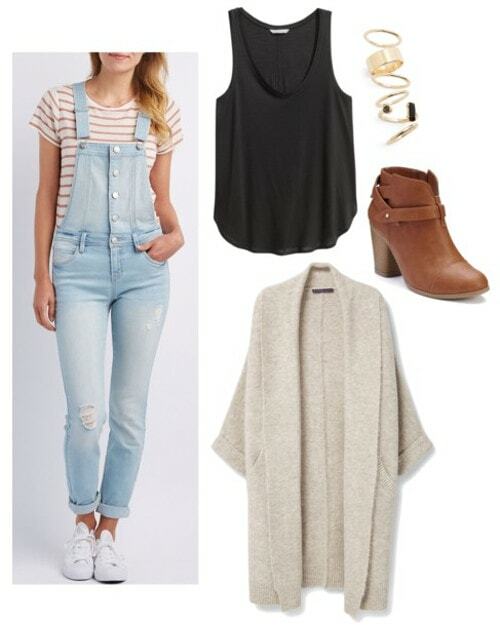 For a cozy feel, throw on an oversized cardigan and brown booties. Lastly, decorate your digits with a stack of gold rings to give the outfit some polish. Do overalls give you nostalgia for your kindergarten days? Would you wear them again? How do you style them? Let us know in the comments!